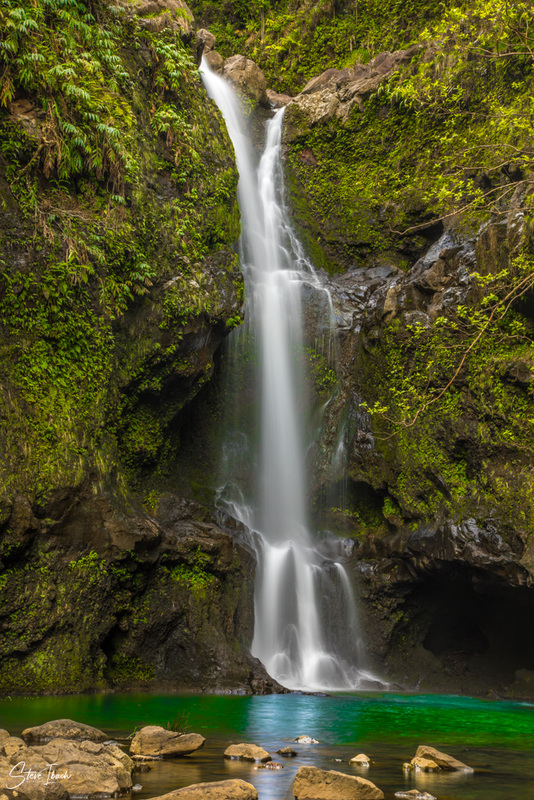 A short distance off the “road to Hana” on the island of Maui in Hawaii is a small waterfall along the Waikamoi stream that is a favorite spot for visitors and locals. Continue the journey for another few hundred feet beyond these initial falls, to a spot few visit, and you will be rewarded with the spectacular big cousin of the first falls—Waikamoi Falls. This spectacular waterfall careens down the cliff side into a beautiful pool next to a magical cave.